The heron is a symbol of wisdom, balance and patience. 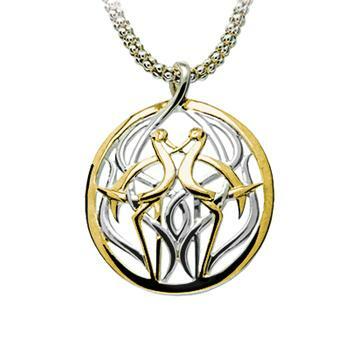 Keith Jack has beautifully created the symbol of the heron with this sterling silver and 10k half oxidized pendant. A sterling silver chain is included.